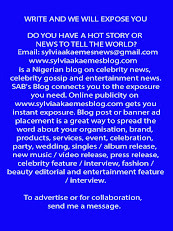 A young man has beaten his Instagram date, who happens to be a model, so badly that her brain twisted inside her skull. India Ali, a 32-year-old model was beaten so badly by her Instagram date her brain twisted inside her skull, police say. According to Metro UK, James Baker, 27, viciously assaulted 32-year-old India Ali following a meeting at the Cheesecake Factory restaurant, in Los Angeles. The two had gone to the Westin Hotel following the date last July. That’s where Baker launched the attack that left Ms Ali, from Los Angeles, with internal bleeding. 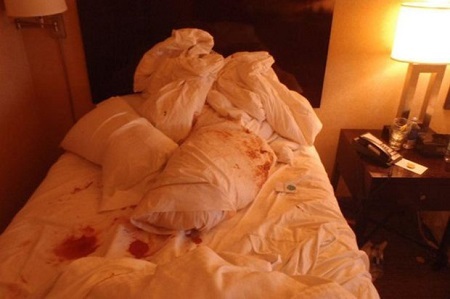 The victim also vomited during the assault and blood was splattered everywhere in the hotel room. ‘I lifted up my head and saw all the throw-up,’ she told New York Daily News. ‘My face was laying in it on the floor. I got up and looked on the bed and there was blood everywhere. Baker was arrested after police tracked Ms Ali’s smartphone and found him in her car, which had been stolen. Following his conviction of felony assault, Ms Ali warned people about dating someone they met on the internet. She added: ‘I don’t want anybody else to go through anything like this. Baker could be jailed for ten years when he’s sentenced on June 5. Ms Ali was in intensive care for a week after she was assaulted.